Markets go up. Markets go down. Markets react. Markets change. 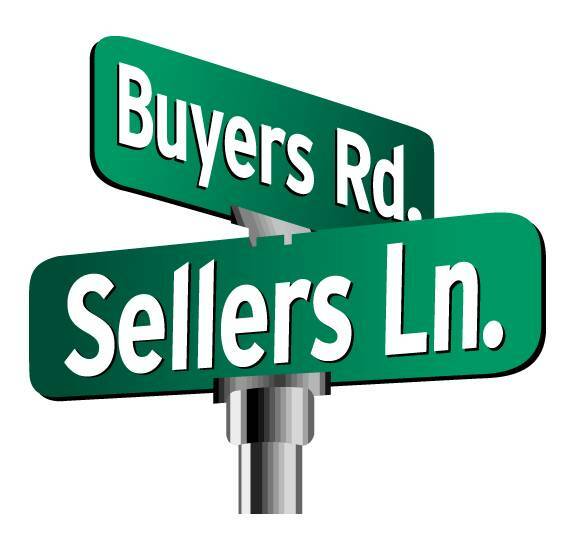 Knowing all of this, it makes you wonder what sellers are waiting for! Where are all the sellers? All we hear about in most real estate markets is about the lack of inventory. We hear that sellers are still stung by the real estate correction and waiting “a bit longer” for values to recover before selling. I would advise sellers that are thinking of selling, to repeat the above statements about the market a few dozens times, and then call a Realtor and list their property for sale. A perfect example of how markets react, change and fill holes is found in articles I have been reading recently about the resurgence of new home construction, as well as by investors who are buying, renovating and flipping properties. Just turn on HGTV and check out the shows! In other words, builders and investor/flippers are stepping in where the average seller will not! That is a signal to sellers that the market will find housing without them. Sales of new homes in the US are surging. Builders are business people, they identify opportunities, and they are forward looking. New-home sales rose 18.5% compared to a year earlier. Sales of previously owned homes has actually fallen 20% in the Western region of the US because of lack of inventory. What is even more striking is that this difference in sales exists even though a typical new home costs 37% more than one already built. Builders are responding to buyers needs! 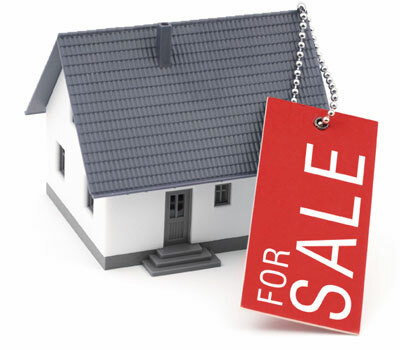 Where are the sellers of existing homes? Nearly one in four homeowners and renters say now is a good time to sell a home, according to a survey released recently by Fannie Mae. What are you waiting for…sellers? The economy almost collapsed 5 years ago. Real estate got severely damaged. We have seen a lot of recovery and strength. And as far as timing, I’d sell now. Don’t wait for “when you have time to repaint the bedrooms”, or for spring, or the summer when the flowers are in full bloom. Inventory is low now; buyers are frenzied for inventory now. While trends certainly vary by region, according to a Trulia study, buyer search activity generally peaks in March and April, while seller listings peak in July. Most sellers would be better off if they pushed the process to now. Sellers could face problems if mortgage rates jump or the economy worsens. And let’s face it, at some point the supply of homes for sale will increase. Categories: Uncategorized | Tags: applying mortgage, cobalt mortgage, down payment, first time buyer, home buyer, Home Buying, home purhcase, home sellng, homebuying, ingrid quinn, mortgage banker, paradisevalley mortgage, Phoenix loan officer, scottsdale mortgage | Permalink. It seems like recently I have been running into the same issue with many of my clients. Where is their cash to close coming from to purchase a new home? I have a couple in particular that just got married and, of course, received a stack of cash and checks as gifts from their guests. On their January bank statement a $10,000 lump sum deposit appeared and in turn questions arose. Luckily for them we are now in April. Loan requirements are your most recent 1-2 months bank statements. If we had needed to use January’s bank statement my clients would have been in a bit of a predicament. Can you imagine being required to hunt down gift letters from every single guest at your wedding? Another instance was a young man was selling his ATV for cash to close. I’m glad he informed me of this so we could take the proper steps to document the funds. When you have an asset that there is a title or a document showing your ownership prior to selling or transferring ownership, please take the time to make a copy! We need a copy of the bill of sale and to fully cover your bases have the buyer pay in a cashiers check. Any cash transaction is not documentable. If any of the bank statements show deposits that are not payroll deposits & are over 25% of you monthly gross income, the source of those deposits should be documented (For example: gifts, inheritance, liquidation of stocks, etc.). All mortgage program guidelines require a full paper trail on where these deposits originated, copies of checks, deposit slips, etc. If any of the bank statements have more than one page, a copy of all pages are required, even if the other pages don’t show anything important or are blank. Depending on how long the transaction takes you may need to send in updated statements as you get them. Copies of the most recent statements (or most recent quarterly statement) on any other asset accounts (like stocks, CD’s, 401k, IRA, etc.) are required. If these assets are going to be liquidated or borrowed against evidence of that is needed, and evidence of the deposit of the funds into the new account (such as deposit slips and copies of the check). You are entering into a major financial transaction when purchasing a home! The best thing for you to do is to be upfront and honest with your loan officer from the very beginning because anything that is not disclosed upfront tends to cause problems near the end of the transaction process. Your loan officer is your advocate and will fight for you to get the loan you need to buy your home. Be honest with them and let them work for you! For questions or comments, please contact me at Ingrid.quinn@cobaltmortgage.com or visit my websites at www.scottsdalemortgageexpert.com or www.cobaltmortgage.com/ingridquinn. Categories: Uncategorized | Tags: applying mortgage, cash to close, Closing Costs, cobalt mortgage, cost to buy, deposit verification, down payment, FHA, first time buyer, Home Buying, home loan, Home Loans, home mortgage, home purchase, home purhcase, homebuying, ingrid quinn, loans, Mortgage, mortgage banker, motrgage, Phoenix loan officer, purchase home, real estate, scottsdale loan officer | Permalink. Closing Costs, What Are you Paying For?! When you purchase a home, there are many things to keep in mind, especially pertaining to financing. As a buyer, you need to be prepared for not only your down payment on the home but also closing costs. These are the fees affiliated with the loan and the purchase transaction being processed and closed. You pay closing costs to the Title Company, state/county/city, lender, and you also pay tax and insurance escrows, and per diem interest. The closing costs that you pay the lender are usually far less expensive than you pay to the other parties. All costs and down payment funds are paid at the closing table to the Title Company and they are then dispersed to the various entities/vendors that the fees are owed to. The following are the seller concessions that the seller can pay on top of splitting the transfer & recordation taxes (if applicable, splitting these taxes is customary in many areas) In Arizona, it is standard in the resale contract for the seller to pay the Owner’s Title Insurance. Sellers may pay up to 3% of the sale price towards a buyer’s closing costs, escrows, and per diem interest, on a conventional loan with a 5% down payment. Sellers can pay up to 6% of the sale price to the borrower’s closing costs, escrows, and per diem interest on a loan with a 10% or 20% down payment. On FHA loans a seller is allowed to pay up to 6%. 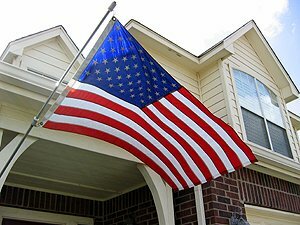 On VA loans, the seller may pay all closing costs for the veteran. On an investment property the maximum seller credit for closing costs is 2% of the sales price. Your lender will give you an estimate of closing costs on the purchase of a particular house you’ve selected. This is called a “Good Faith Estimate” (“GFE”) and it is required by law to be given to a buyer. Then, the day or before closing, the Title Company will give you an actual “Settlement Statement” (aka “the HUD” or “the HUD-1”), which is the final and complete form with all the numbers for the sale, including the actual closing costs. Categories: Uncategorized | Tags: applying mortgage, arizona, Closing Costs, cobalt mortgage, cost to buy, down payment, FHA, first time buyer, HARP, home buyer, Home Buying, home loan, Home Loans, home mortgage, home purchase, HUD program, ingrid quinn, loans, Mortgage, mortgage banker, paradisevalley, paradisevalley mortgage, Phoenix loan officer, phoenix. cavecreek, purchase home, scottsdale loan officer, scottsdale mortgage, taxes, tempe | Permalink. 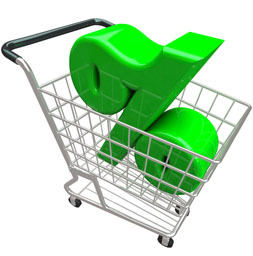 There are many things to consider when shopping interest rates. When most homebuyers are shopping for a mortgage they only look at the interest rate and points. There are a number of considerations beyond the interest rate and points. Below are some important things to consider when shopping for a mortgage. 1. Mortgage loans have so many variables that you can’t just view a rate quote online and be assured it applies to you. 2. Is the lender you are looking at an internet lender, mortgage broker, mortgage banker, or a bank? Knowing who will ultimately be processing and funding your loan, helps to insure you will have a smooth process. Is the appraiser a local company? All of this affects your ability to get to the deal you signed up for, and getting to the settlement table on time. 3. What are all of the fees, such as processing fees, underwriting fees, appraisal fees, credit report cost, etc. Does the loan have an origination fee, discount points, or broker origination fees? There are many third parties to a loan, and they all get paid. There is no such thing as a loan with no fees. If someone offers you a loan with no fees, you are paying for it somewhere else (in the form of a higher interest rate, or a pre-payment penalty). 4. Are the quotes current, and are all the options you are considering quoted on the same day? 5. Did you get the APR (Annual Percentage Rate)? Many times lenders will quote you low interest rates, but then have a significantly higher APR’s, which indicates that they have higher than normal closing costs. Most consumers are so focused on the interest rate, that they take their eye off of the ball in other areas like closing costs. For questions or comments, please feel free to contact me at Ingrid.Quinn@cobaltmortgage.com or visit me at http://www.scottsdalemortgageexpert.com or http://www.cobaltmortgage.com/ingridquinn. Categories: Loans | Tags: arizona, cobalt mortgage, Home Buying, home loan, Home Loans, home mortgage, home purchase, ingrid quinn, interet rates, loans, Mortgage, paradisevalley mortgage, Phoenix loan officer, scottsdale, scottsdale loan officer, scottsdale mortgage | Permalink. Categories: Loans | Tags: arizona, cobalt mortgage, home byuying, home loan, home mortgage, home purchase, home purhcase, hornorable discharge, ingrid quinn, Mortgage, no money down home loans, paradisevalley mortgage, phoenix, Phoenix loan officer, purchase home, scottsdale, scottsdale loan officer, scottsdale mortgage, va, VA funding, VA loans | Permalink. The Federal Housing Finance Agency has directed Fannie Mae and Freddie Mac to extend the current expiration date for the HARP refinance program until December 31, 2015. The program was set to expire the end of 2013. 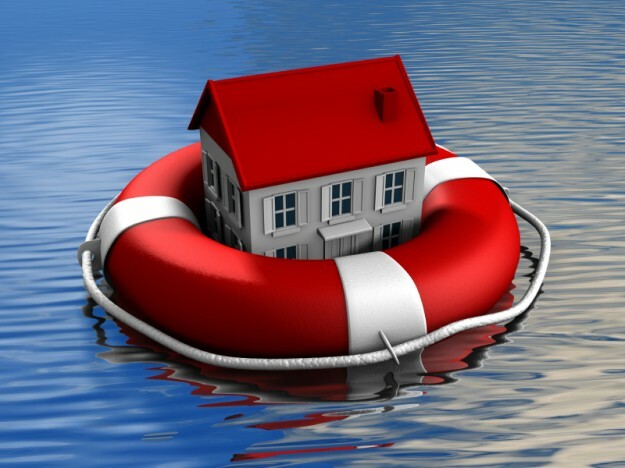 The program has provided many homeowners the opportunity to refinance an underwater or high loan to value mortgage to a lower rate. Over 2 million homeowners have taken advantage of refinancing since the program inception in 2009. Am I eligible? To be eligible, you must have a mortgage owned or guaranteed by Fannie Mae or Freddie Mac, sold to those agencies on or before May 31, 2009. The current loan-to-value ratio on the mortgage must be greater than 80%. Borrowers cannot have missed mortgage payments in the past 6 months and cannot have had more than one missed payment in the past 12 months. How do I take advantage of HARP? The first step homeowners should take is to see whether their mortgages are owned by Fannie Mae or Freddie Mac. https://ww3.freddiemac.com/corporate/ to look up on Freddie Mac’s website. If you are still unsure contact your servicer and ask. Any comments please feel free to email me at ingrid.quinn@cobaltmortgage.com or visit www.scottsdalemortgageexpert.com. Categories: Loans | Tags: applying mortgage, cobalt mortgage, HARP, HARP loan, HARP refinance, home loan, Home Loans, home mortgage, home purchase, homepath, ingrid quinn, loans, Mortgage, mortgage banker, Phoenix loan officer, refinance, scottsdale, scottsdale loan officer, scottsdale mortgage | Permalink. I continue to get calls for refinancing. A lot of people who were eligible for HARP (Home Affordable Refinance Program) refinancing have already done so. Hopefully, if they haven’t yet they will do so and take advantage of what I believe is a great opportunity for negative equity clients. But, there is renewed interest in other refinance programs because home values have rebounded in many markets. Homeowners who have equity in their homes can do a regular refinance without HARP and lower their rate or they can get out of their FHA Mortgage Insurance Premiums to possible lower conventional premiums or they are opting to reduce the term of their mortgage. •	Do they need to lower monthly payments and/or interest rate? •	How long will they be in the home? •	What are their long term wealth management/ equity position goals? •	What are the tax benefits or ramifications of a refinance? •	Do they want to build equity and lower rate? Say for example, you have a 30 year loan taken out for $150,000 with a rate of 5.25% 5 years ago. You have a balance now of about $140,000. The loan over 30 years would cost $150,000 in interest charges when finally paid back. The monthly P& I payment is $828 a month. The same loan refinanced today with a $140,000 loan amount for a 15 year loan at 3% will have total interest paid of $36,000 over the term and the payment will only rise by $139 a month. HUGE savings! The other alternative is to take the $140,000 and refinance for 30 years again at a rate of 4%. The loan will cost over the 30 years $102,000 in interest charge and the payment will drop by $160. Wouldn’t you rather have the extra $100,000 in another form of investment or have your home paid off when you retire or when the kids go to college? 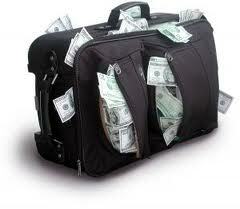 Rumor has it 15 year loans have payments that are not manageable. It is not true. Speak to a mortgage professional about your options and don’t completely rule out a 15 year mortgage. It can change your life. For more information or to comment please contact me at Ingrid.Quinn@cobaltmortgage or visit my website at http://www.ScottsdaleMortgageExpert.com. Categories: Loans | Tags: 15 year mortgage, 30 year mortgage, FHA, FHA loan, glendale loanofficer, glendale mortgge, HARP, Home Buying, home loan, loan officer, Mortgage, Phoenix loan officer, phoenix mortgage, refi, refinance, refinancing, scottsdale loan officer, scottsdale mortgage | Permalink.